WYPALL* L30 Embossed Wipers LOng Sheet are a bulky 3ply wiper with absorbency strength for more demanding tasks. Designed for portability and single usage. Available in a range of dispensing options. 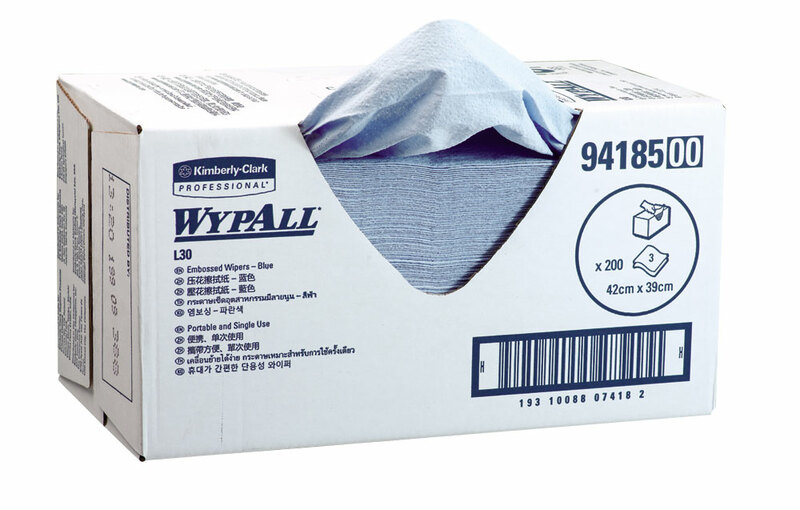 WYPALL* L30 Embossed Wipers are a bulky 3ply wiper with absorbency strength for more demanding tasks. Designed for portability and single usage. Available in a range of dispensing options.